^ Kraus, F J (2009). 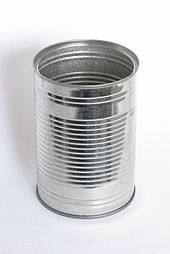 "Steel Cans". In Yam, K L (ed.). Encyclopedia of Packaging Technology. Wiley. pp. 205–216. ISBN 978-0-470-08704-6.